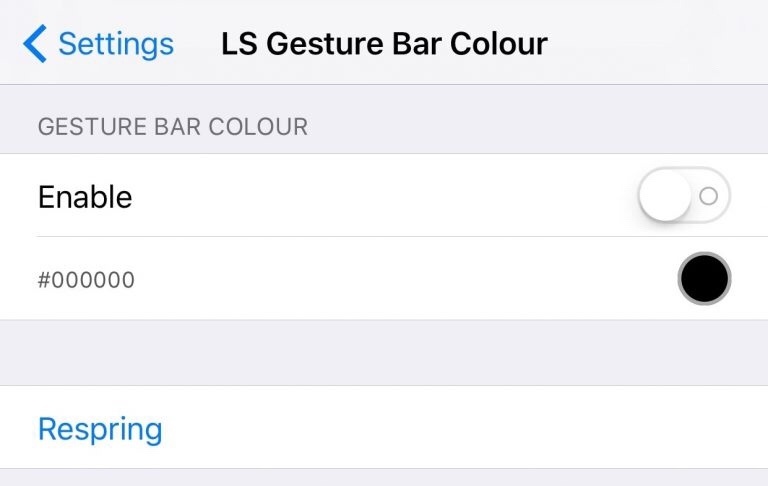 Here is all you need to know about LS Gesture Bar Color tweak for iPhone X running iOS 11. Another day, another tweak. This year is so nice for iPhone X users because Coolstar released iOS 11 Jailbreak which is known as Electra. With the release of iOS 11 Jailbreak some iOS Developers started working on some new tweaks for iOS 11, especially for iPhone X. So today we have a fresh and new tweak for iOS 11 Jailbroken iPhone X. What is LS Gesture Bar Color Tweak? Alright, if you have a iPhone X just lock it and look at the gesture bar at the bottom below. By default, this tweak is only available in one color which is white and we cannot change it. But, if you have a Jailbroken iPhone X using LS Gesture Bar Color Tweak you can change the color of gesture bar with your favourite color. Do you wanna try this tweak on your device? At least must check it once on your iPhone X. How to Install LS Gesture Bar Tweak for iPhone X? If you are familiar with Electra Jailbreak then you are also familiar with setting up a new Tweak. Electra Jailbreak comes with some official repo. So, you can easily install this tweak for free on your device from Packix repository. How LS Gesture Bar Tweak Works on iPhone X? Right after installing this tweak you must have to check the preferences in the Stock iOS Settings App. After installing this tweak just Enable the tweak and set the color you want on iPhone X.
That’s much easy and helpful for every iPhone X user. I hope you will love this tweak. That’s all for today. If you have any questions and facing any issue while installing this tweak do not forgot to ask me on the comment box for help. If you like this tweak, share it with your friends and let them know this new Cydia Tweak for iOS 11. Like us on Facebook for more Cydia Tweaks, tutorials, news and much more. Loves to write about iOS but more for iPhone, Blogger. To be honest I have a productive mind.